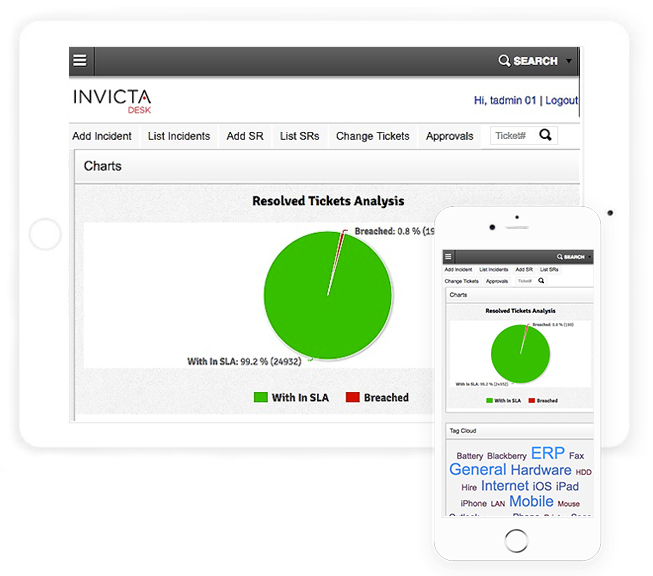 INVICTADesk™ is a leading service desk software solution that can be deployed on-premise or in the cloud. INVICTADesk™ supports heterogeneous environments, delivering superior service from a single, console. It’s affordability, ease-of-use, quick installation, and tight integration with industry leading endpoint management, business intelligence, and password management offerings make it the optimal choice for organizations of all sizes. 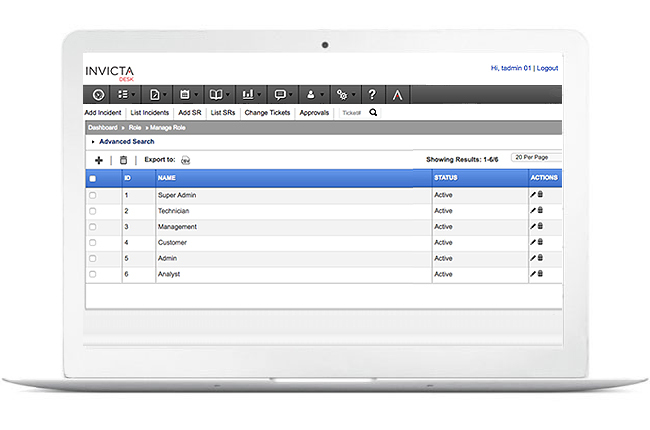 Tracking the right metrics is simple with INVICTADesk™. 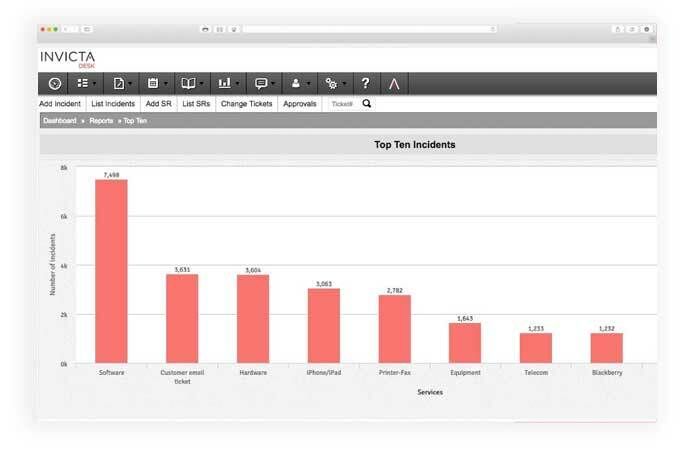 Our standard reporting and analytics features numerous canned reports based on those most commonly used. Plus, with the ability to export CSV or through our integration with Ivanti Xtraction®, more extensive reporting can be obtained. With its dynamic, web-browser interface that automatically adapts to devices, access it from any computer, smart phone, or handheld with just an internet connection. Tags on tickets provide a powerful, quick visual representation of Problem areas in your operation right on your dashboard. Far more versatile than the linear capabilities of Category based approach, Tags are the only feature offering multiple analysis for causation tracing. 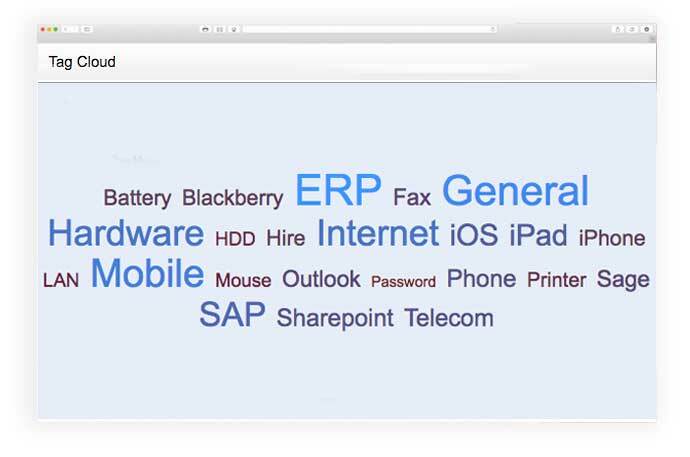 Tag Cloud with true Tag based multiple category reporting.